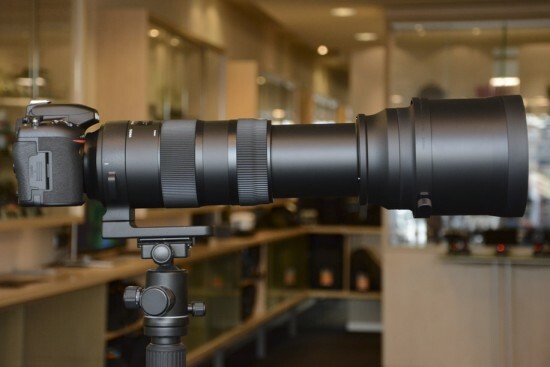 We would like to announce the availability of a new firmware update for the SIGMA 150-600mm F5-6.3 DG OS HSM | Sports in Nikon mount and the SIGMA 150-600mm F5-6.3 DG OS HSM | Contemporary in Nikon mount. This firmware update can be installed using SIGMA Optimization Pro. SIGMA TELE CONVERTER TC-1401 on Nikon D500. *For customers who are using SIGMA Optimization Pro Ver1.1 or earlier, please ensure to update it to Ver1.3 from the following Download page before updating the lens firmware. This entry was posted in Nikon D500, Nikon Lenses and tagged Firmware updates, Sigma, Sigma 150-600mm f/5-6.3 DG OS HSM. Bookmark the permalink. Trackbacks are closed, but you can post a comment.